Now that I’ve received my first paycheque, I can give some thought to whether I should get any more camera lenses. (I often celebrate a new contract by buying a lens.) I have four lenses in mind, but I’m having some trouble deciding which one to get first. AF Nikkor 85mm f/1.8D ($5001). Fast portrait lens. DX crop factor: 127.5mm. Expected uses: portrait photography (girls! ), low-light telephoto, astrophotography. Already have the AF Nikkor 50mm f/1.8D, which fulfils some of these uses. Nikon will probably replace this with an AF-S lens that costs more at some point. 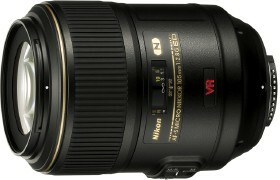 AF-S VR Zoom-Nikkor 70-300mm f/4.5-5.6G IF-ED ($6001). Telephoto zoom. DX crop factor: 105-450mm. Expected use: wildlife photography. Already have the AF-S DX VR Zoom-Nikkor 55-200mm f/4-5.6 G IF-ED, which is the DX analogue of this lens. Using the 70-300mm on a DX camera would give me more reach; there are times when 200mm isn’t enough (and I can’t afford fast telephoto primes). 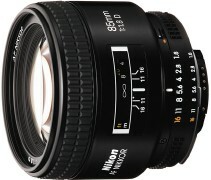 AF DX Fisheye-Nikkor 10.5mm f/2.8G ED ($8501). Fisheye lens. Expected use: astrophotography. Wide-field astrophotography would be really impressive with this lens, but it will have to wait until I get a tracking mount. Maybe a one-trick pony until I can find some terrestrial uses. AF-S VR Micro-Nikkor 105mm f/2.8G IF-ED ($1,0501). Macro lens. DX crop factor: 157.5mm. Expected uses: macro photography (small reptiles), portrait photography, astrophotography. An f/2.8 lens at this focal length has several uses; while it’s the most expensive lens under consideration here, it would probably get the most use overall. And, of Nikon’s three macro focal lengths, this is probably the one to have if I can only have one. I’ve already bought all the cheap, general-purpose lenses I will have a use for, so I’m now moving into the realm of lenses to get for specialized purposes. Now I don’t think I can afford to get all four of these lenses — at least not all at once, so I’m going to have to figure out which lens (or lenses) I will have the most use for. It depends on where my photography goes next: if I get into portrait photography for some reason, the 85mm and 105mm macro lenses make sense, for example (the macro lens can double as a portrait lens), whereas wildlife and reptile photography points to the 70-300mm and the 105mm macro. Wide-field astrophotography would benefit from any prime (i.e., non-zoom) lens, but will requires a tracking equatorial mount. My financial self-discipline demands that I hold off any lens purchase until I have a use for that lens: there’s no point in spending money on a lens and having it sit on a shelf for months, or buying a lens and then trying to figure out what I can do with it. Then there’s the issue of having the time to shoot photos in the first place: I usually don’t have much of that when I’m off earning enough money to buy lenses. But this is fun to think about anyway. Thinking about buying toys usually is. 1 Canadian MSRP, for reference; I’ve sometimes seen them advertised for less than this.